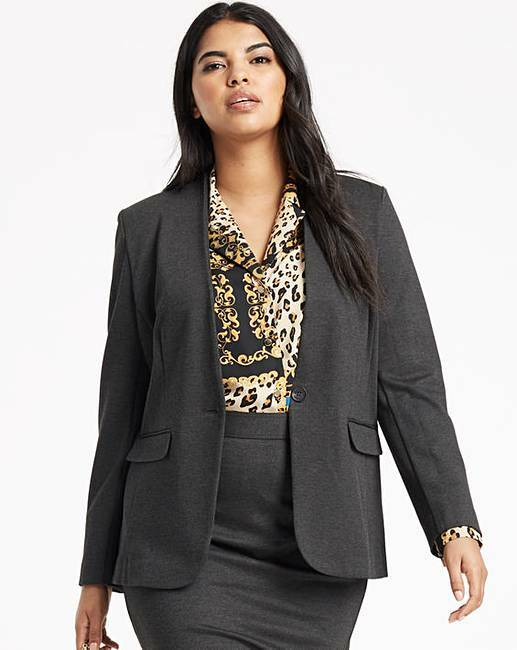 Collarless Ponte Blazer is rated 1.0 out of 5 by 2. 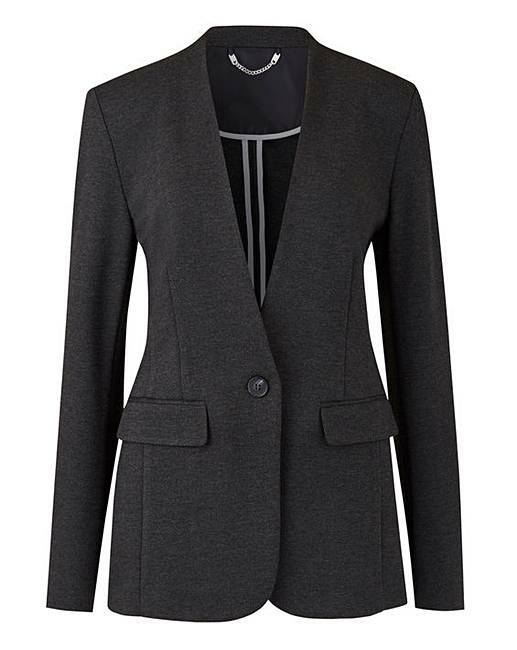 This collarless blazer in a ponte fabric will add style and comfort to your workwear or going out wardrobe. Rated 1 out of 5 by HON from pale grey marl, not as in picture ok in fit for me but colour very different from the picture. Not dark at all, more a mid-grey so looks very cheap. Rated 1 out of 5 by Sss from Very poor everything Bought to use with dresses but completely wrong, colour, fabric, style.